The human female life history is characterised by several unusual features compared to other apes, including large babies, late puberty and a rapid reproductive rate, followed by the menopause. In this review I examine human life history from an evolutionary ecological perspective. 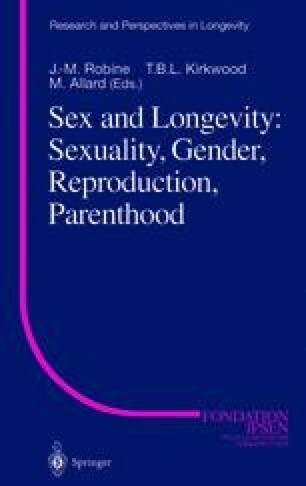 The evidence for life history trade-offs between fertility and mortality in humans is reviewed. Patterns of growth, fertility and mortality across the life span are illustrated with data from a traditional Gambian population. The stages of the human life course are outlined, followed by a discussion of the evolution of menopause — the curtailing of female reproduction long before death. The evidence that this stage evolved because investment in children’s future reproductive success is more important than continuing childbearing into old age is reviewed, along with data relating to the biological constraints that may be operating.